So you just got a new Instant Pot. Congratulations! Now what? We’ll take you from a just-opened box to the basics. It’s not as complicated as it seems. What’s the big deal with Instant Pots, anyway? 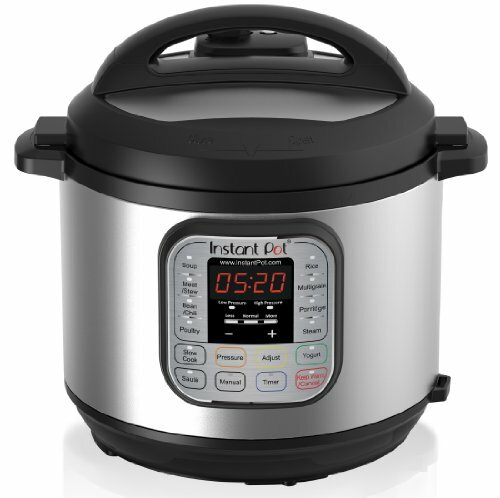 Instant Pots are multifunction, programmable electric pressure cookers. Think of them as little cooking robots. If you’re not familiar with pressure cooking, the entire point of an Instant Pot can be confusing. The big sell here is pressure cooking is up to 70 percent faster than other ways of cooking. Pressure cookers reach higher temperatures because their lids lock into place without steam escaping, which creates a pressurized environment inside the pot. In this environment, the cooker reaches 250°F (as opposed to boiling water, which is only 212°F). With pressure cooking on a stove, you have to keep a close eye on the cooker because you regulate the heat source. If you let the burner get too hot, the pressure builds up too much and the cooker spews out angry jets of steam (and yes, could eventually explode). But with an electric Instant Pot, the cooker regulates its own heat via sensors. That’s the other win. No need to carefully monitor it as your food cooks. Program the Instant Pot and once it’s going, you’re free to go for a walk, vacuum the living room, check your email—you get the idea. Instant Pots can do other things besides pressure cook, too. With the lid off, you can sauté ingredients before pressure cooking. You can also use it as a slow cooker or make yogurt in your Instant Pot. We’re not going to worry about doing those things here, though. This guide is all about pressure cooking. It’s actually safer than conventional cooking or stovetop pressure cooking. Everyone has heard stories about old-time pressure cookers exploding. Your Instant Pot won’t do that because the temperature and pressure inside the pots is carefully monitored and regulated through its internal programming. Remember: It’s your trusty cooking robot. What foods are best for a pressure cooker? Pressure cooking uses wet heat only. You gotta have liquid in the cooker—the steam creates the pressure. No liquid, no steam, no pressure. Pressure cooking is for boiling, steaming, and braising. For example, you wouldn’t cook French fries or make a crusty loaf of bread from start to finish by pressure cooking. But anything boiled (beans, soups, pasta, grains, stocks and broths) or steamed (vegetables, seafood, custards) or simmered (meaty stews) is ace in your Instant Pot. I wouldn’t lie to you. “Instant Pot” is a misnomer. It’s not a miracle, and it does not cook food in an instant. Nothing does, unless you live on Cup Noodles. Here’s the catch: It takes time for the Instant Pot to come to pressure. Typically, the time it takes the cooker to get to pressure is not part of that cooking time. For instance, if a pot roast cooks for 30 minutes at pressure, the total time from start to finish for a recipe like this might be more like 45 minutes or more. An Instant Pot’s heating element has less juice than the burners on your range, so it takes longer to heat food enough to get to pressure. BUT! The ease of use frees you up to do other things. With most recipes, Instant Pots truly are “set it and forget it.” Let’s say you’re making a stir-fry, and you’d like brown rice to go with it. Before you start prepping the stir-fry, put the rice and water in the Instant Pot, program it to cook for 22 minutes at pressure, then go about your business. By the time you’ve chopped and stir-fried everything (and even set that table), your rice will have finished its cooking cycle, the pressure will have come down naturally, and the cooker will automatically switch to its “Keep Warm” function—so your perfectly cooked rice is waiting patiently for you at the ideal serving temperature. An owner’s manual, for one. It’s boring and confusing, which is why you are reading this. But don’t get rid of it! A recipe booklet. Some of these recipes are good, some aren’t so hot, but they all work. Still, hang onto this, too. A silicone gasket that fits in a ring under the lid. The cooker itself (the outer body of the Instant Pot). The metal insert, a.k.a. the stainless steel pot that actually holds the food. A small translucent plastic drip catcher to collect condensation. (The Lux model is an exception; it was designed not to need one). A rice paddle. If you love rice and grains, you’ll find yourself cooking these often in your Instant Pot, and these plastic doohickeys work better than serving spoons. A small plastic measuring cup. I gave this to my kid to play with in the tub. A metal steaming rack. You may or may not use this a lot, but hang onto it anyway. First, wash and dry the lid, gasket, and metal insert. Now you’re ready. Pop the insert in the cooker. Now insert the power cord into the cooker’s socket. Plug it in. The digital display on the front should now read “OFF.” Your cooker is now in standby mode. Slide the rubbery gasket ring under the lid; there’s a bracket where it will snap into place. The gasket helps seal the pot, allowing it to come to pressure. On the underside of the lid is also a small metal cage. It will be round or rectangular, depending on your Instant Pot model, and it helps keep the valve from getting clogged with bits of food. It’s removable so you can clean it out if necessary, but you probably won’t need to do this very often. Look for arrows on the top of the lid and side of the cooker. Line these up to get the lid on and off. The first dozen or so times you use your IP, this whole “getting-the-lid-on-and-off” will feel unnatural, because your cooker is new and so are you. It’ll eventually become second nature. If the cooker is plugged in, it bleeps cheerfully when you open and close it. On the lid, there’s a little black knob sticking up. This is the steam release valve. It comes on and off for cleaning purposes, but you’ll have it on your cooker 99.9 percent of the time. This is what you use to release the pressure. If you toggle it back and forth a few times, you’ll find that this knob feels a little loose; that is correct and how it should feel. Next to the steam release is the pressure indicator. This is a little metal cylinder that the steam pushes up; it’s a manual indicator that the unit has attained pressure. Your Instant Pot is now all clean and fully assembled. Time for a test drive. What’s up with all those knobs and buttons? I know, there are so many. Good news! You can ignore most of them. I use my Instant Pot nearly every day, and I’ve never touched the Rice, Porridge, or Soup buttons. I do, however, make rice, porridge and soup in my IP all the time, just by programming it manually—which you need to know in any case. On the Instant Pot Duo: the Low Pressure and High Pressure buttons, the +/- Cooking Time buttons, the Manual button, and the Keep Warm/Cancel button. Ready? Let’s cook some water! The first time you use your Instant Pot, make water—not food. This way, you can familiarize yourself with simply operating it—no anxiety over ruining dinner. I’ve been pressure cooking for over a decade, and I still do the water test every time I try out a new cooker. First, check the gasket. Make sure it’s snugly in the ring in the lid; 99 percent of the time, if your Instant Pot isn’t coming to pressure, it’s a simple issue of the gasket not sitting in the ring quite right. Next, put 3 cups of water in the insert. When following recipes, you should still measure liquids, but note that the insert has hash marks to give you a rough idea of the volume. Now, lock on the lid. Use the arrows on the lid and the cooker to guide you. Check the steam release valve to see it’s in “Sealing” position. If the valve is in “Venting” position, the cooker won’t come to pressure. Press “Manual” on the Duo or select “Pressure Cook” on the Ultra. The display will say to 30:00. Its programming initially defaults to 30 minutes cook time of high pressure, which we can toggle up or down depending on how much time the recipe calls for. For our water test, we’ll leave it at 30 minutes. Now…do nothing. In a few seconds, the cooker will beep three times, and the display will read “On.” That means it’s heating, but not at pressure yet. Time to wait. A watched pot never boils, right? It will seem like it takes forever for your cooker to come to pressure. When I timed mine with its 3 cups of water, it took 10 minutes to get there. This in-between time passes a lot faster if you are doing other things, like prepping other foods or washing dishes. Eventually you’ll hear the cooker hissing, interspersed with some clicking. Don’t freak—this is normal. Like a pet dog, your Instant Pot sometimes makes snorting or wheezing noises for short periods. Then, all of a sudden, the hissing will stop. The pressure indicator will go up, the cooker will beep three times, and presto! You’re pressure cooking. But wait, the digital readout still says “On.” Is it timing yet? It’ll take about a minute after reaching pressure for the readout to reflect this. Don’t worry; it won’t screw up your cooking time. The readout will say “30” and count down. When you are pressure cooking, the Instant Pot tells you how much time you have remaining in the programmed time. Once the time is up, the cooker will beep three times and then readout will switch to “LO:00.” This means that the Instant Pot has switch to its “Keep Warm” setting, which it does automatically at the end of the cook time. This is useful if you’re not right there when the cook time ends or if you want your food to stay warm for dinner. On “Keep Warm,” the timer counts up. If you are cooking something tender like snap peas, however, you don’t want them to overcook, so you can press “Cancel” once the cook time ends. See how the readout switches to “OFF”? Alternately, you can just unplug the cooker. How do I get into this thing when it’s at pressure? Natural release: That means you do nothing but wait. The more food in the Instant Pot, the longer it takes for the pressure to come down—as long as 30 minutes if you have, say, a big batch of chili. In a lot of recipes, this time is actually part of the cooking time, and the recipe will specify “natural release” in the instructions. Think of it as carryover cooking. You’ll use natural release with dried beans, a lot of soups and stews, most meats, steamed desserts, and long-cooking vegetables. Quick release: With this method, you use the quick release valve (the knob on the top of the lid) and steam shoots up out of it. Once again, the more food in your Instant Pot, the longer it takes for the steam to release. You’ll use quick release for quick-cooking foods like tender vegetables and seafoods. If you have your Instant Pot near cabinets, be mindful when you do a quick release—it can get a lot of condensation on your cabinets, which can damage them over time. To keep the steam at bay somewhat, you can tent the valve with a kitchen towel during a quick release. Foods like oatmeal, beans, and porridges can sputter goop through the steam valve—the towel trick is handy for those times, too. Back to our pot of water: Push the steam release valve to the venting position using a long-handled spoon or (if you’re daring) your finger. Just keep your fingers to the side and away from the top of the knob where the steam vents. This valve should stay open on its own once you nudge it. The steam will come shooting up and be a little noisy. Releasing all of the steam can take a minute or more. The more liquid in the cooker, the longer the release will take. With the 3 cups of water, it took mine 45 seconds. ALWAYS open the cooker with the lid facing away from you and other people. Once you see the steam that comes roiling from the open cooker, you’ll know why! By the way, the Duo and the Ultra have a nifty feature where you can rest the lid in an open position using notches on the sides of the cooker. Want more practice? Bring it back to pressure! Try it again with the same hot water. This time, press “Manual” and then adjust the 30 minute default time by pressing the “—” button, then press the “+” button to go up. Let’s do 10 minutes. You may notice how, if you press “Manual” and take too long before pressing the other buttons, the cooker will just beep on its own and proceed for 30 a minute pressure cooking time. If you need to re-start, just press “Cancel/Keep Warm” and start over. Since the water is in your cooker is already almost boiling to begin with, the cooker will come to pressure a lot faster than it did the first time—within a minute or so. It’ll hiss, then the hissing will abruptly stop as the pressure indicator button goes up. If the hissing just keeps on going, it’s probably because you left the valve in the venting position instead of sealed. Just use your spoon handle to nudge it back. What next? Same as before: the cooker beeps, the readout will say “10,” and then it will switch to “LO:00.” You can do quick or natural release, whichever floats your boat. Most of the time, you’ll cook with high pressure, like we just did. It’s faster. Low pressure is good to use for delicate foods like eggs and custards. Low pressure is also useful for steaming soft and tender vegetables, fruits, and, seafoods because it minimizes the risk of overcooking. Wow, that was no big deal. Which recipes to make now? Great job! Take the tape off the front of the cooker and read the owner’s manual. Here’s the scope of what’s possible in your Instant Pot, and eventually you’ll hone in on what makes sense for you: You might cook primarily beans and grains, shaving minutes off cooking components of other recipes. You might steam vegetables most often (it’s amazing for whole artichokes). You might lean toward multicomponent one-pot meals. You’re the boss of this thing, so have fun! Hard-boiled eggs in the Instant Pot are actually steamed. The plus with them? So easy to peel! Do you love cooking dry beans from scratch? In the Instant Pot, they are fast and plump in the pressure cooker. A game-changer. Regular steamed rice in an Instant Pot frees you to focus on cooking the rest of the meal. An IP is essentially a rice cooker on steroids. Chicken soup from scratch, ready in 60 minutes. Classic chili is weeknight-compatible in an Instant Pot. Need cooked butternut squash or other winter squash? Steam it in a pressure cooker! Cheesecake is a breeze in an Instant Pot, because you steam it—no messing with tipsy water baths and multiple pans like you would in an oven. Steel-cut oats are an everyday luxury if you program it to cook right when you wake up. Your oatmeal is ready once your coffee’s brewed and you’re dressed! Want more recipe ideas? Check out our full list of Instant Pot recipes! Store your cooker like this, with the lid upside down and the gasket loose. Condensation builds up in the gasket, which can become moldy if you lock a damp lid on the cooker. This method allows for lots of air circulation. It’s not so pretty on a countertop, I know. If nothing else, make sure you at least never store your cooker with a damp lid. One last thing: What’s the lowdown with those other Instant Pot models? Duo Plus: Like the Duo, but with a blue LCD display and few more settings (including sterilize and egg/cake, though you don’t need special settings to do any of those things). You can toggle to sound off or on. Smart WiFi: Generally like the Duo, but you can pair it with an app and use your smartphone to control some of its functions. Lux: No yogurt making setting. Does not need a drip catcher. Each setting will remember the cook time you programmed most recently. Ultra: Has a central control knob, not as many buttons, and a few more special settings. Has a feature to automatically adjust for pressure cooking at altitude. Quick release button keeps fingers away from the steam release valve. Each setting will remember the cook time you programmed most recently. Max: This has a touch screen, a sous-vide function, heats faster, can be programmed to automatically release steam, and offers an altitude adjustment option. Hi, Toni! I’m so sorry you’re having issues with your Instant Pot! For this problem, I’d suggest calling the manufacturer. This is awesome! My husband shook his head when my IP arrived, thinking it was another useless gadget that would end up in the garage, and I was determined to prove him wrong, but where oh where to start? You made it simple. Thanks for all the info. I couldn’t find this yesterday when I posted how to clean the silicone ring….this really works!! Easy! Fill the pot with 2 cups white vinegar or 1 cup white vinegar + 1 cup filtered water an a lemon rind or slice of lemon, seal the lid, run for 2 minutes on “steam” setting. Remove the ring and let it air dry. Should be free of smells. Purified water….a bottle of spring water works or water filtered from your refrigerator water dispenser. THANK YOU! This is the information I have been seeking. You answered all the questions I had in simple understandable language without making me feel like an idiot. I have used the IP several times but usually with concerns about just what I was doing. I did try the soup setting and it took forever. Thanks again. I use a 90 degree elbow shaped plastic pvc pipe fitting to redirect the steam away from my cabinets when doing a quick release! Thanks, never thought of that. Instructions and videos I’ve seen say to put a folded hand towel over the valve to collect the steam and keep it from making the kitchen into a sauna. That’s what I’ve been doing and so far so good. Great article – I have a question: how do you get odors out of the rubber seal in the lid? When I cook chili in mine, the seal smells like chili (or anything else I cook in the PC) for some time afterward. Thanks! Anne, I’ve not noticed any flavor carryover from my chili-or-curry (or whatever) smelling gasket. Meaning if I made yogurt in the pot after making chili, the yogurt does not taste like chili. But you are right, gaskets tend to retain smells for a few weeks. You can buy an extra gasket to use for “smelly” foods. I’ve also read that baking the silicone gasket at 250 degrees F for 20 minutes can remove the smell, but I’ve not tried this method myself. 1.5-2 cups of white vinegar and 1.5-2 cups of distilled or filtered/purified water, set to pressure cook for 3 minutes. No more smell on the gasket! Wow! This is so helpful. Thank you! 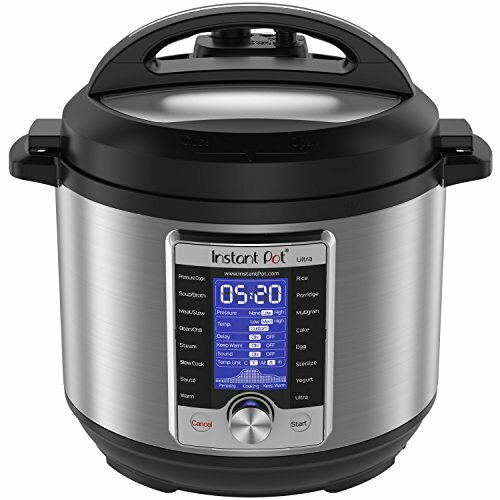 How about some decent recipes, easy instructions, etc for the 3qt instant pot. I’ve had one for months and never used it. I also have so called cook books supposedly for 3qt pots. I’ve not used a 3-quart personally, but if a recipe fits in the cooking insert without overfilling it (meaning you know it’ll come to pressure–generally not more than 2/3 full), you should be able to convert any recipe to it. I imagine the 3-quart model, because of size, is best for steaming vegetables, cooking grains, and making small batches of things. I do have a smaller stovetop model, and I mostly use it for steaming or making smaller batches of rice. I hope your cookbook for 3-quart recipes helps, and thanks for asking for recipes on the site that will work in a 3-quart model. That was nice, I read most although I’ve been using it awhile. Helpful for new users. 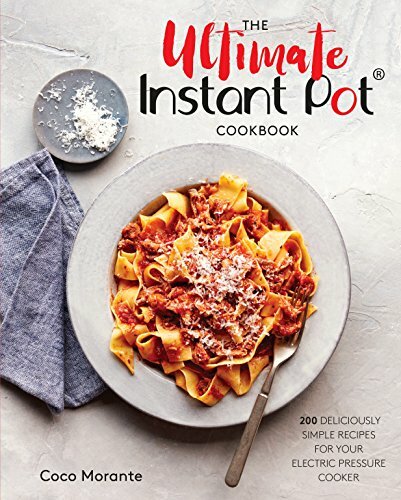 Your guide has the most complete Instant Pot instructions that I have read. Kudos! This is awesome, thank you SO much for taking the time to write it. I purchased an Instant Pot a couple months ago and it’s still in the box! I think it scares me ha ha. I am now encouraged to get that bad boy out and use it. 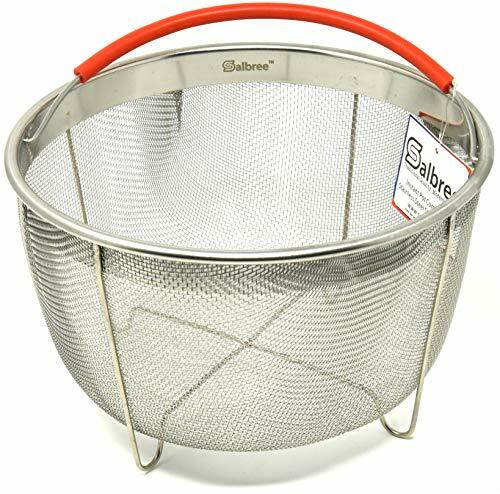 I was looking for a vegetable steamer, glad to know I can use this and not have to buy another piece of equipment! Thanks again! Wonderful article. I have had my Instant Pot for a year, is out of the box, but have regarded it as a coiled cobra ready to strike ;-(((( (hands off!!) This article made the pot more “cook friendly”. Thank you. This little tutorial alleviated many concerns. Very much appreciated. I still don’t understand the timing. It says “on” for a long time and next I noticed then window said “burnt food”! (food was not burnt, but was very close. I have the Viva 80. I do not have a Manual button. Hi, Valerie! Use the “Pressure Cooker” button and then the +/- buttons to adjust the cooking time for manual pressure cooking on the Viva. I’m concerned about your “burnt food” reading, though, which usually indicates that you don’t have enough liquid in the pot or that you have some ingredients stuck on the bottom of the pan from an initial saute step. What recipe were you trying to cook? If you were getting this reading while doing the “Pressure Cooking Water” experiment, then this could indicate something wrong with your Instant Pot itself. Hope that helps! Oh my! i got my IP for Xmas and I was so confused by the instruction book. You made it easy! Thank you. My insta pot doesnt have a manual button so when it says use that button in a receipe i dont know what to do????? I caught that as well on my first meal attempt last night. If you have the model I have, (the Duo), and there is no Manual button, press the far right button (Pressure). Then, adjust the time. That button also toggles from High to Low pressure. Most recipes use the High setting. I made spaghetti and meat balls. The entire process from start to finish, was about 30 minutes or so. Jim, thank you for your succinct answer to Tara’s question. Tara, let us know if that got you what you needed! And thanks to both of you for reading. Happy pressure cooking! Helped me a lot! Thank you. Great article about the Instant Pot for first time users. Even though I’ve been pressure cooking for over 40 years I found it useful. Before the electric programmable pressure cooker I found myself just using it for pinto beans. I tended to over cook everything else. Since getting my Instant Pot for Christmas a few days ago I’ve made Beef Stroganoff and used it for cooking the potatoes for loaded mashed potatoes. Both turned out perfectly!